Home » How-To Guides » How to Gain Weight Without Supplements? How to Gain Weight Without Supplements? In the world, there is a big problem when we talk about weight. Most people have a problem with reducing weight. Also, there is another side to the problem that a lot of people are skinny. That is a big concern because being underweight can just be really bad for your health. But gaining weight for skinny people could be a really hard venture. Being skinny or just having a problem with gaining weight (muscle) this is the best article for you. This article will help you to gain weight as fast as possible in a healthy way. Foods and protein supplements that are called “Muscle building” are notorious for fast weight gain. It can sound too good to be true, it probably is! instead of spending your money on expensive processed products you can just try to fuel your body with high-calorie and nutrient-rich foods. If you have chronic digestive issues, you are not able to get enough nutrients from food, you can consider using supplements. In my opinion, you should always try to aim for whole foods. For gaining weight you can try eating candy, drinking sodas like coca cola, Pepsi or any aerated drink or even eating fast-food. But it just disrupts your health. Instead of junk food, you can try consuming some of these products. But you can even try eating a banana. Banana contains around 100 calories. You can consume 2-3 per day. With banana, you will improve your health and gain weight. My favorite is pasta combined with vegetables. When you cook pasta with vegetables you get all essential vitamins and minerals. Also, you can try eating nut butter. It’s delicious and it’s not that expensive but you can add it up into any of your snacks. Well gaining weight also as losing weight is a big problem for beginners even for active sportsman. When you think about gaining weight, almost everyone thinks about calories and how it’s hard to calculate and regulate calories entry. But it’s a simple formula to calculate it. The first thing you must calculate is how many hours per week you train. Then to that hours add + 10. Number what you get you are going to multiply with your weight that you want to gain. This is going to give you the number of calories that you must consume per day. If you are naturally skinny or you have problems to gain weight you can add 500 calories more. That should look like this, for example, I train 4 hours per week and want to get to 145lbs. That is the number of calories that you need to get every day. But it’s not easy to regulate calories. Because you can’t only get calories from one type of calories. Out of this 2530, I should get 45% of complex carbs 40% HIgh-quality protein and 15% natural fats. But also there are also different applications on mobile phones that can help you calculate everything. The key thing you need to understand is that if you get in a correct number of calories probably won’t get you any weight if you don’t choose the correct type of calories. Quickly gaining extra weight is the dream of every bodybuilder or sportsman. But is it possible to “quickly” gain weight? In the one hand, it’s possible if you try to aim for some food. As I said bananas are good for gaining weight they have 100 calories each. But my favorites are milk, protein smoothies, and nuts. Milk is great for your body because it has a rich amount of protein that grows body muscles fastly. Protein smoothies homemade I prefer. Commercial versions are typically loaded with sugar and also lack nutrients. You must remember one thing we are looking to gain weight and muscle the healthy way: no diversions! The good thing about protein smoothies that there are super tasty variations that you can try. Just mix and start drinking. Nuts are chock full of calories. In fact, if you eat just two handfuls a day as a snack it can quickly add hundreds of calories. Almonds also are full of protein one handful contains about 7 grams. Also, they have 18 grams of healthy fats. Nut butter best one is 100% nut butter and surely you can add it to whatever snack that you want. In conclusion, we can say that there are many ways to gain weight. From unhealthy one which is full of junk food and full of aerated drinks. To the healthy way gaining weight that is with healthy ingredients: milk, almonds, nuts. Protein smoothies are also good for gaining a lot of calories. Or even 100% natural juice. 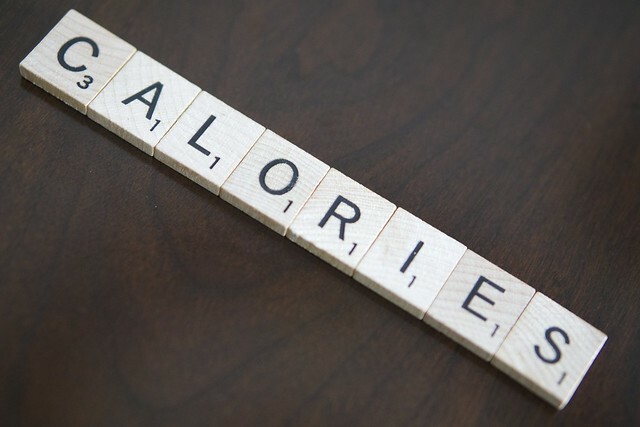 There are a few different ways to calculate how many calories you need to consume on a daily basis. I have demonstrated you easier one in this article. But nowadays there are good applications that can help you with calculating, also that applications have the option to count the calories that you ate today. Best luck with your process of gaining weight. But you must remember why are you here today. To gain weight healthy way so you do not ruin your health.